The Cosamin ASU Supplement is designed with active people in mind. 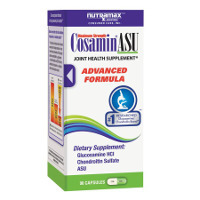 As the number one brand recommended by orthopedic specialists, Cosamin ASU Advanced Formula is a comprehensive and complete joint support supplement. The joint health supplement has dual synergy and triple action.